The engine on your vehicle turns over but will not start. The engine is getting fuel and it has good compression. The only thing it still needs is a spark. One of the first and easiest things to test is the ignition coil. There are two circuits in every ignition coil, and there are also two testing methods. One is a static simple resistance test; the other is a dynamic function test. Testing is essentially the same no matter what type of vehicle the ignition coil comes from. Remove the coil from the vehicle. This ensures that you are testing only the coil, as it is isolated from other vehicle components. 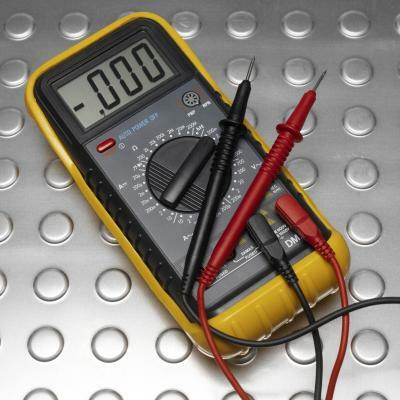 Test the resistance of the primary circuit by setting the multimeter to the ohms setting. Connect one terminal to the positive side of the coil, and the other terminal to the negative side. Take the reading from the meter. The reading should be between one and four ohms, depending on the type of coil and the vehicle from which it came. The higher energy the coil, the lower the primary resistance will be. Test the secondary circuit by attaching one lead to the negative terminal of the coil, and the other to the terminal where the spark-plug wire plugs in. 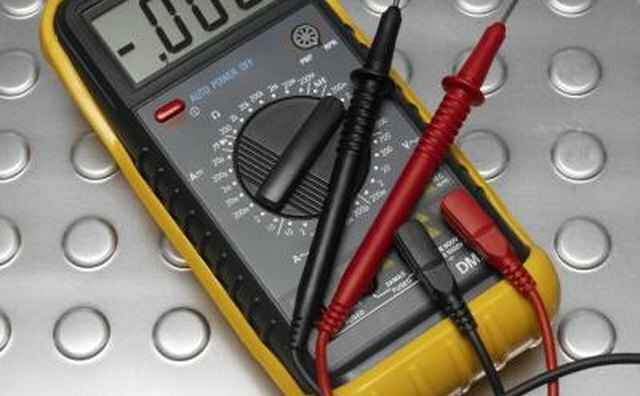 The reading on the multimeter will be in the range of 10,000 ohms. Move the lead from the negative terminal to the positive one on the coil. The reading should not change. Connect battery power to the coil. A nine-volt battery will do the trick, or run a jumper wire from the vehicle battery to the positive side of the coil. Ground the capacitor by mounting it to a grounding point on your vehicle, or running a jumper wire from the capacitor mounting plate to a grounding point. Connect the capacitor wire to the negative side of the coil. Connect another jumper wire to the negative side of the coil. Install the high-tension coil wire, and place the end of it near a ground. Touch the jumper wire to the capacitor grounding point. Pull the jumper wire away from the ground. You should get a spark from the high-tension coil wire. Do not test the coil in the presence of fuel vapors. Test only in a well-ventilated area away from flammable substances.